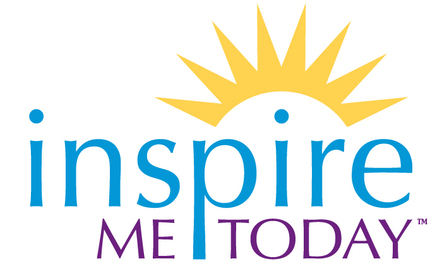 InspireMeToday.com is proud to partner with the Care2 community to deliver free inspiration to you three times each week. From Sir Richard Branson, Seth Godin or Guy Laliberte, to Jack Canfield, Mariel Hemingway, Marci Shimoff or one of hundreds more, our Luminaries share what they’ve learned in life, in 500 words or less. Some will make you laugh, some will make you cry… but each will inspire you with their wisdom, their experience and their example of how to live your best life possible. After noticing the difference in my own life on days that start with inspiration, we began to gather the best wisdom from global Luminaries. We launched InspireMeToday.com to share this wisdom more than three years ago, after I spent a month in Iraq accompanying my daughter as she entertained our troops. A young Marine named Jesse, who spent 35-40 days away from the base guarding his stretch of desert, inspired me with his simple request for a “mom hug” and for daily inspiration. Jesse was the catalyst for creating our site, which today reaches individuals in more than 120 countries, from the deserts of the Persian Gulf to the boardrooms of corporate America and from housewives to worldwide entrepreneurs. Inspiration touches our hearts and reminds us that we are here for something so much bigger than ourselves. InspireMeToday.com is here to remind you of your own magnificence by helping you reconnect to your own inner world, regardless of what might be showing up in your outer world. By adding a bit of inspiration to your life, your greatest success not only becomes possible, but probable. Look for our posts every Wednesday, Friday and Sunday and bring inspiration into your life!